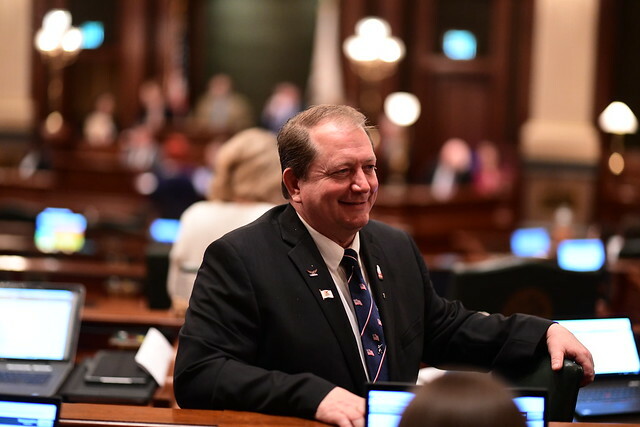 Last week, legislation sponsored by State Representative Tom Weber (R-Lake Villa) to ensure stable funding for County Cooperative Extension programs, such as 4-H, unanimously passed the Illinois House. House Bill 2264 clarifies language in state statute to ensure funds intended to support extension programs cannot be withheld by the state. As Weber noted, HB 2264 simply changes one word in state law, but by changing this one word it ensures uniformity between the County Cooperative Extension Law and the Civil Administrative Code. Due to vagueness in current law, funds meant for the State Cooperative Extension Trust Fund, which helps fund extension programs, have not been regularly deposited. The new uniformity created through HB 2264 means the fund will no longer be shortchanged and stability will be guaranteed for local extension programs. HB 2264 passed the House by a vote of 111 to 0 and is now being considered by the State Senate. For more information about the bill, Click Here.